Want clearer skin, more energy, and a stronger body? 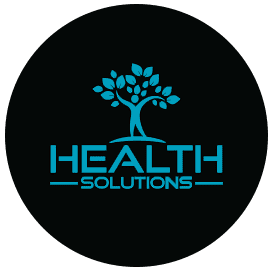 IV nutrient therapy at Health Solutions in Wellington, Florida offers patients a fast and efficient way to assimilate nutrients, vitamins, and minerals that support total body health and wellness. Whether your immune system needs a boost or you want to achieve peak athletic performance, the Health Solutions team can create a nutrient “cocktail” that’s perfectly tailored to your needs. IV nutrient therapy is a way to rejuvenate, revitalize, and repair your body with the power of liquid vitamins and nutrients. When you take vitamins or supplements orally, they must pass through your digestive system first, which sometimes means they are not absorbed as thoroughly as they could be. In contrast, IV nutrient therapy delivers vitamins, nutrients, or minerals directly to the bloodstream. That enables your body to quickly and efficiently utilize the nutrients. Why should I get IV nutrient therapy? IV therapy can also help you attain your peak performance as an athlete, or it can lend support if you’re battling a chronic illness. At Health Solutions, our team of doctors can help to evaluate your unique situation and design a regimen specific to you and your medical needs. Alternately, you can also benefit from one of the standard formulations, which is effective for anyone who needs nutritional support or extra energy. The service is performed in-office, where your practitioner prepares the formulation and delivers it intravenously to your body through an IV drip system or injections. The delivery method may vary from patient to patient, depending on your needs. If you’re recovering from a chronic illness or have a long-standing condition, regular IV nutrient therapy sessions can complement your current medical protocol and boost your immune system for more rapid healing. Experience the profound change that IV nutrient therapy can bring to your life. Call to book your appointment at Health Solutions today.